When you first arrive, I recommend going to the top of the little mound with its proud statue of a caribou. 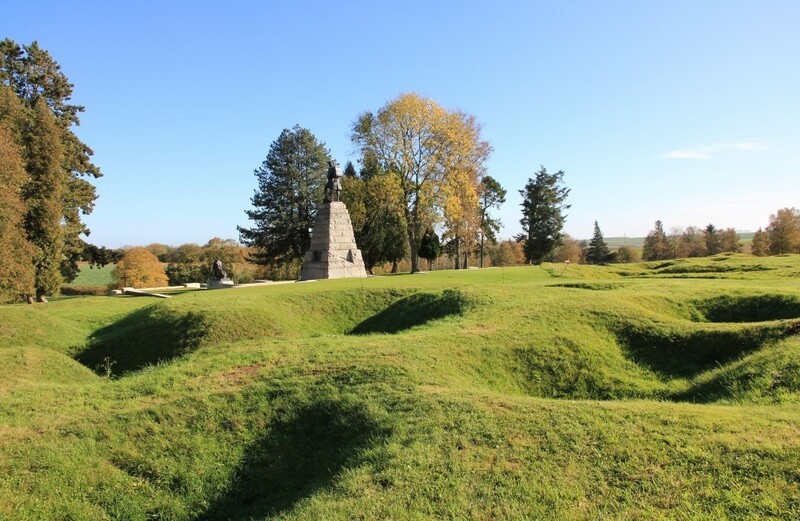 The viewpoint diagram will help you get your bearings, have an overall view of the site and see the maze of trenches and the ground pitted with shell holes. Be sure to walk along the many footpaths to see the little cemeteries. 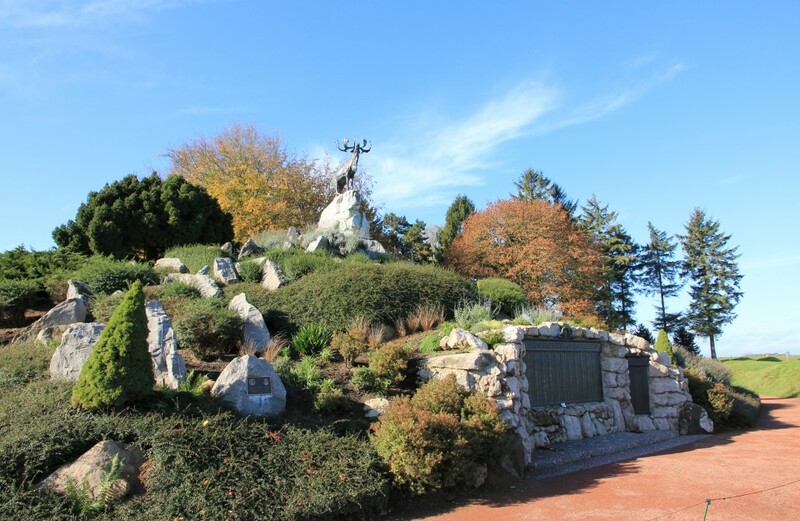 The Newfoundland Memorial at Beaumont-Hamel, is just 10 min from Albert at the centre of WW1 Remembrance sites. Its remarkably well reserved trench system gives you a realistic idea of what the fighting must have been like. Allow at least 1h30 min. to go round the site (about 30 hectares). 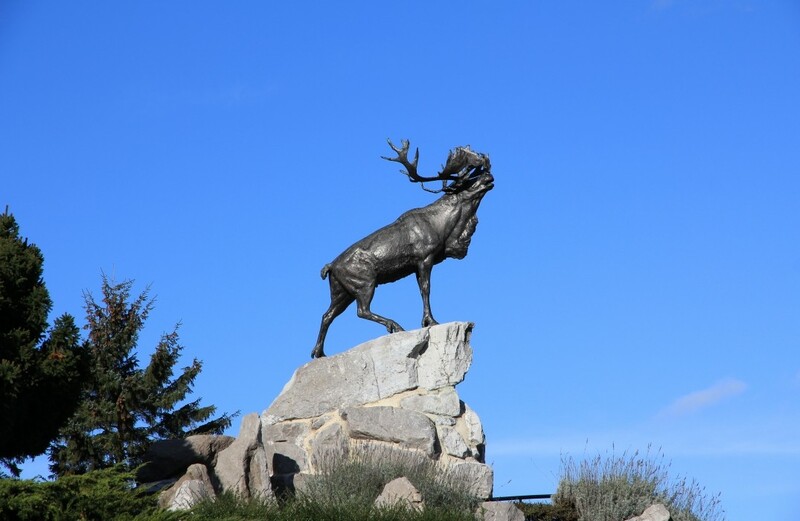 As soon as you arrive, take the children onto the mound with its statue of a caribou: there's an impressive panoramic view over the trenches and shell holes. Tip: with very young children, need a baby-carrier. 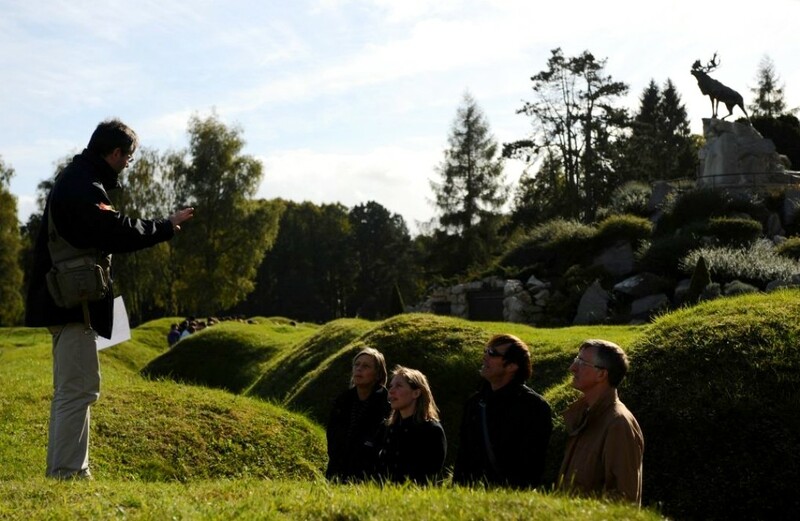 As you enter the site, take the advice offered by the Canadian volunteers, as the park is immense. Filing through the beautifully preserved trench network you will be immersed in the very heart of the history of the Battle of the Somme! Stick together as you cross no-mans’-land and head for the Danger Tree before pausing at the Visitor Centre to round off your visit to this absolute must on the Remembrance trail.